Fishing is one of the most accessible sports in Florida. With Miles of beautiful Gulf of Mexico and Atlantic ocean coastline, as well as tens of thousands of freshwater lakes and ponds, it’s no wonder Florida is known as the fishing capital of the world! I’ve been fishing since I was old enough to hold a rod and reel, and have been a fishing guide here in Tampa Bay for over 10 years. Through my many trips and expeditions during the past decade, I’ve been able to accumulate some of the best fishing spots from Pasco to Hernando, even down to the Florida Keys and some great places at the east coast, as well. I specialize in fishing the Gulf of Mexico waters, from my hometown of Tarpon Springs to Clearwater and St. Pete. I grew up here and have put in countless hours studying the migration patterns and habits of the fish in these local waters. Speaking of migrating fish, Tarpon have invaded our waters in thicker numbers than I’ve seen in over a decade! 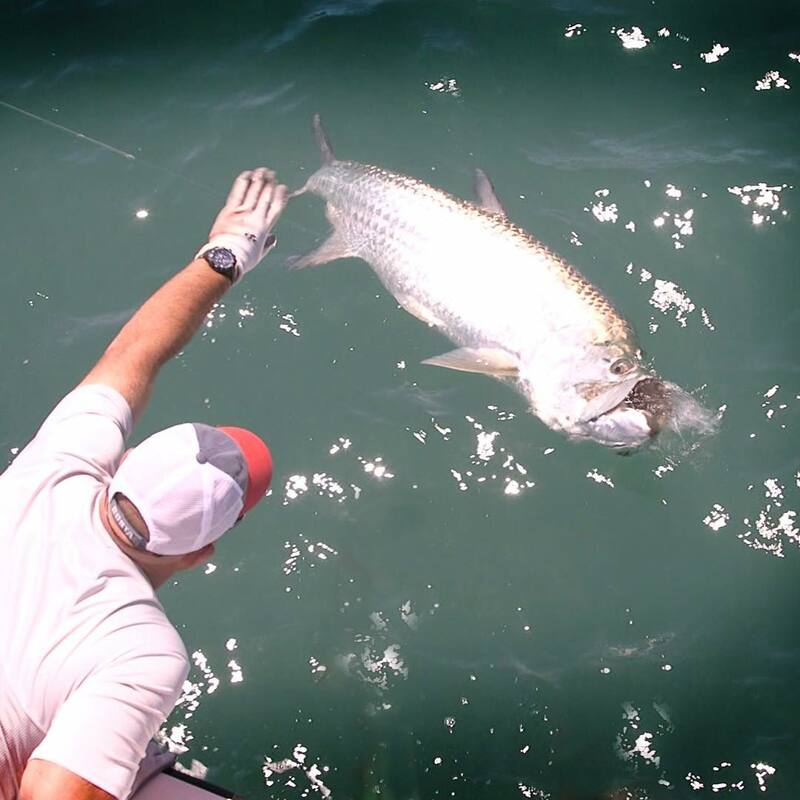 Tarpon are known as a “bucket list” fish to some and an absolute addiction to others. I fall into the latter category. Ever since I caught my first Tarpon in my parents’ backyard as a kid, I’ve been fascinated with their prehistoric look and raw power. There’s not much that rivals a Tarpon’s strength or their acrobatics. I’ve been fortunate enough to catch them on just about every form of tackle, from lightweight spinning reels to stout grouper digging gear in local passes, to fly-fishing them in knee-deep water. I love getting anglers of all ages and skill levels on their dream fish. It’s not always a guarantee when targeting specific species, but with my experience and local knowledge mixed with a little bit of lady luck, you’ll be battling a monster fish of your own. We catch Tarpon through the end of July so if it’s a Tarpon you’re going after, call me today! I only have a few dates left!